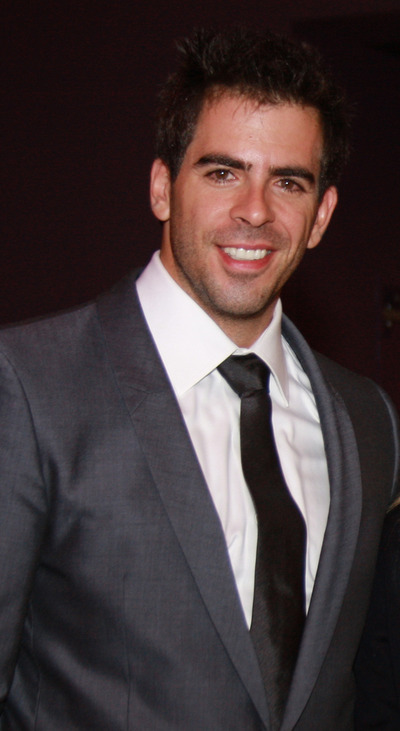 Eli Raphael Roth (born April 18, 1972) is an American film director, producer, writer and actor. He is known for directing the horror film Hostel and its sequel, Hostel: Part II. He is also known for his role as Donny "The Bear Jew" Donowitz in Quentin Tarantino's Inglourious Basterds for which he won both a SAG Award (Best Ensemble) and a BFCA Critic's Choice Award (Best Acting Ensemble). He is part of a group of filmmakers dubbed the Splat Pack because of their explicitly violent and bloody horror films. In 1995, a year after graduating from NYU, Roth cowrote Cabin Fever with his roommate and friend from NYU, Randy Pearlstein. Roth based the premise of the script on his own encounter with a skin infection he contracted while riding Icelandic ponies at a family friend's farm he was visiting in Selfoss, Iceland, in 1991. Much of the script was written while Roth was working as a production assistant in 1996 for Howard Stern's movie Private Parts. The film was made in 2001 on a budget of $1.5 million raised from private investors. Roth sold the film to Lionsgate at the 2002 Toronto Film Festival for $3.5 million, the biggest sale of the festival that year. The film was released in 2003 and was Lionsgate's highest grossing film of the year, earning $22 million at the U.S. box office and $35 million worldwide. Roth's second feature film, Hostel, was made in 2005 on a budget of a little more than $4 million. It opened to No. 1 at the box office in January 2006, taking in $20 million over its opening weekend. It went on to gross $80 million worldwide in box office, and more than $180 million worldwide on DVD. In April 2006 on Eli Roth's birthday, Hostel opened on DVD at No. 1.